Life Every Day: ?M: In Which She Answers Several Random Questions and Says "Cheese"
?M: In Which She Answers Several Random Questions and Says "Cheese"
Kiki asked me what do I eat in the kitchen that I don't let my kids see- Most frequently, this is it. I go through phases. Sometimes they last for months, or days, whatever the mood strikes. Right now, this is my favorite secret snack. Sharp cheddar cheese with honey drizzled on top. It's incredible. This is great cheese. Lara asked how I have time to blog. I write blogs when I feel inspired, so it's easy to write them. I love that my blog is such an expression of who I am, who we are as a family, and celebrates the things that are most precious, simple and enjoyed in our lives. I also have made many priceless friendships this way, and I'm very thankful for each one. Lisa, we both went to South Dakota State University, where Jim graduated with honors with an engineering degree, and I mostly half-read about 300,000 books and wrote twice as many papers in pursuit of an English degree. Oh, and Lisa, you asked what I'd do with $10,000 if I couldn't save it? The first thing I thought of was give it away, so I suppose I'll keep that answer? If that wasn't an option, I'm sure I'd find another way to use it :). Ris and Lisa, we attend a Wesleyan church. We've attended one in the last four places we've lived, and they are all in the same district, so we know a ton of people in the network, which is wonderful when there is a big event like Family Camp or retreats etc. We would go anywhere we felt led, but so far, we've been a part of these churches. And this year, we'll be joining some friends of ours in planting a new church here in Sioux Falls, which is very exciting. I'm sure I'll say more about that some other time. Lauren and Anne, I worked at Wal Mart in college. Talk about character-building. And one thing I take away from it to share with you all who've never worked retail: If you have ever decided you didn't want something and threw it in a random shelf in the store, shame. on. you. If you don't want to take it back to it's right spot, you can give it to the cashier when you check out and they will gladly give it to the right department to put it back for you. Amen? 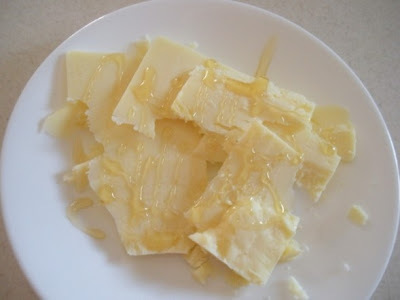 ps- I might normally think you were crazy to put honey on cheese, but I gotta say it looks mighty tasty. I put a little honey in the bottom of my coffee mug before I pour on the coffee and a little skim milk. I think it's great...some people think I'm a nut but hey I pregnant and even if I wasn't I'd still think so! (Hiding her head in shame because she's put something on the wrong shelf when she decided she didn't want it....) Fun answers!!! I can't believe you're just turning 27 - you've accomplished so much in a short time, Megan! And just how far are you from Omaha? I would just love to meet you for real some time! PS - Bought the Bissel steam cleaning machine that you have on Monday. It. Is. Awesome! My family room carpet looks amazing & it was almost addictive to see how much gunk you were pulling out of the carpet! Thanks for the recommendation! look, it's 8:07 in the morning and i'm already defending my cheese. i know. i get it. it's not common. but i promise, i can convert you. i had thyme-infused honey on some european cheese i can't spell at a winery once, and i was saved from boring cheese snacks for the rest of my life. 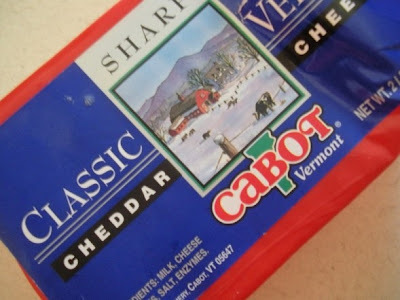 i just use honey from a bear, and trusty normal cheese- but cabot is a cut above the rest! and it's very good. you combine that with an apple and a handful of nuts, and you're good to go for hours. no knockin it unti you try it, peeps. I think your cheese snack actually looks super yummy! SUPER YUMMY! I wonder if my parents would think I am nuts, if I tried it while at their house?? How did I miss this whole question and answer deal? I swear traveling has put my brain out of commission. AMEN! I worked at Target, and I cannot tell you the number of times I found random objects wedged into the cracks somewhere in the wrong department. It was always like people were trying to hide it, like they were ashamed that they put it back... anyway... good post! They are serious about their cheese, man! First things first, you should NEVER have to defend cheese. Of any kind. YUUUMMM!!!! The "honey from a bear" comment made me snicker. Even though I like them, I quit using the bears because it's hard to store them upside down, and I like to get every last drop! I have never heard of the Wesleyan denomination! I read the core beliefs from the website though, and it's right along with what I believe. My home church is an Assembly of God, but I am visiting a Bible church. (closer to my house) Haven't found a home yet though. Want somewhere with young couples with children, and my home church doesn't have much of that. Plus its over an hour away. I ordered the study Bible that you have. I have been dying to have one, but wasn't sure which to get. I read some reviews and excerpts of yours online and it looks fantastic! And it's purple. lol Too cute. I also got several books. Very excited! oh be still my heart - cheese and honey!! thanks for the fun answers friend! I love your answers, you are too cute Megan. And I CANNOT believe you are only 27. Not because you look older but because you are so way more mature than I am. I just can't get over it, not for a second. Ohhh. First time commenter, also from the SF...Love the Vermont cheddars. Will have to try the honey with the Cabot waiting at home. I'm sitting here, looking through my PB catalog, and thinking of you and the girls. We miss you terribly and wish you were closer. I loved reading all your question/responses...and now have another question to add to your list (if it's not to late). My burning question that has been on my mind the last two weeks is how do you get two siblings to sleep in the same room without waking each other up. Isabelle is 15 months now and Sophie is 3 months. I hope you have some advice for us!! I love getting to know you a bit more! And honey on cheese was not what I was expecting at all! I was thinking chocolate, but honey on cheese seems healthy! dude,i remember the cheese that i cant spell either from that fabulous little winery...it rocked and made a honey/cheese believer out of me for life! we are still waiting on our 10,000 lbs of furniture to be located (only a wee bit concerning they havent delivered it yet) and living in a hotel while we wait. 6 more weeks until baby boy arrives and we will hopefully be unpacked by then. found a great house near d.c. if you all are ever up for a trip to the capital. 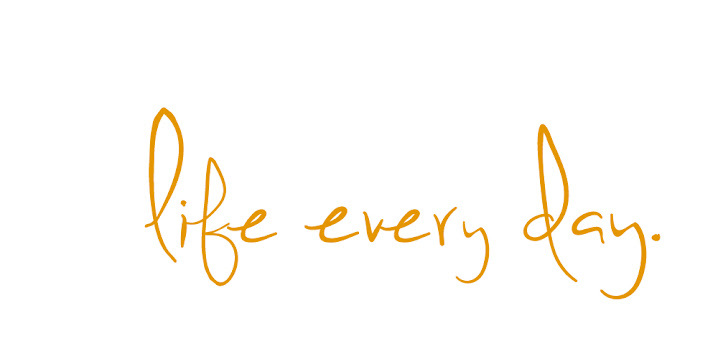 :) love what youve done with the blog. So cool! I'll have to try the cheese thing sometime. We're the same age! I turned 27 in march! Cool to find someone with so many things in common! If it's not too late, what's your top 5 favorite books?